So dense. So hearty. So healthy. So simple. Sometimes mine even magically turn into tacos! 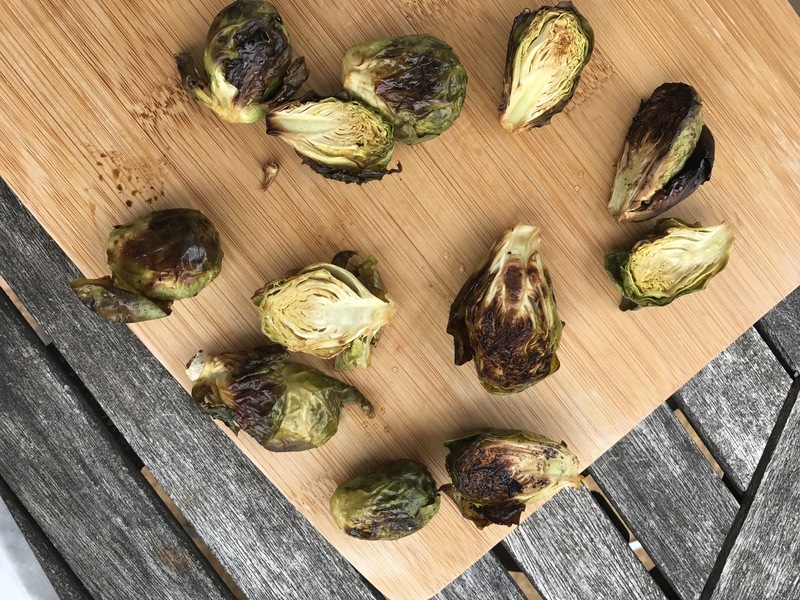 Re-heat some perfectly roasted brussel sprouts from dinner the night before. While all that’s going on, reheat a low carb tortilla of choice in a fry pan with some avocado oil spray. Once it’s crispy, pile on the goods. And sprinkle with lots. 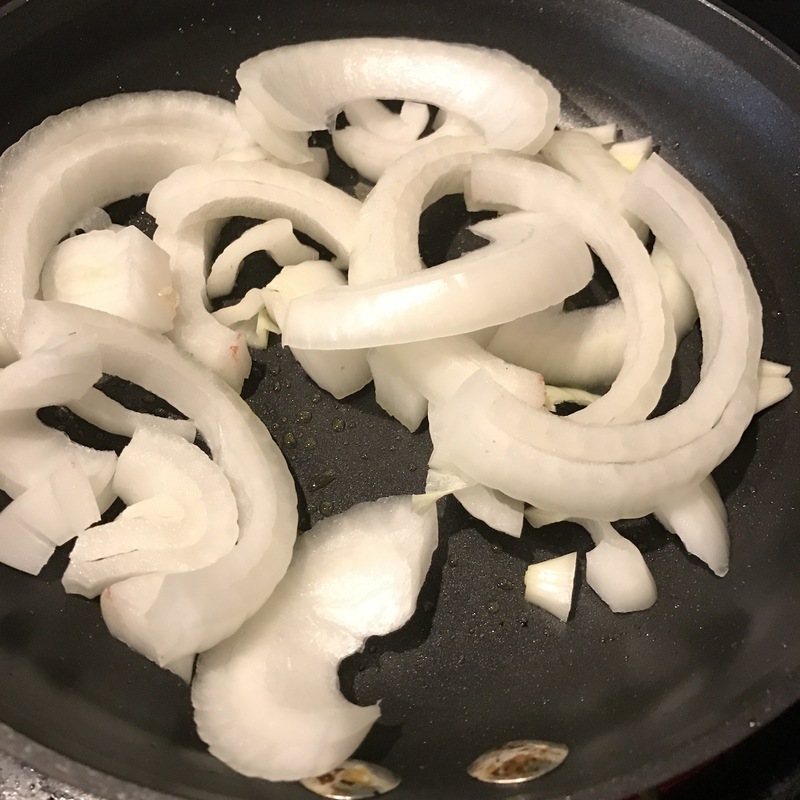 Caramelize your onions. Heat up your Brussels (or enjoy cold!). 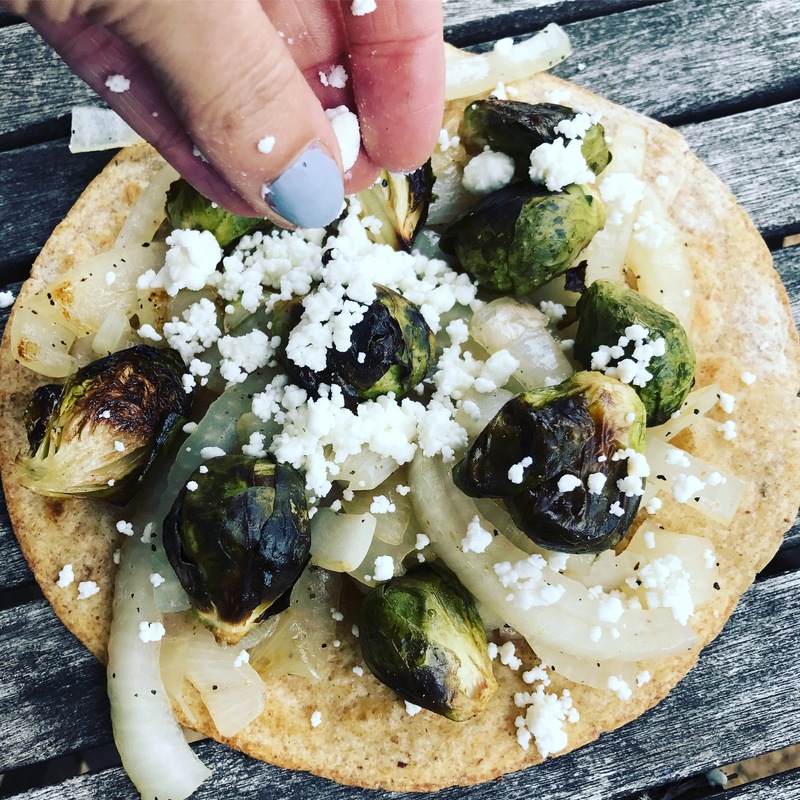 Crisp up your tortilla. Pile the goods on. 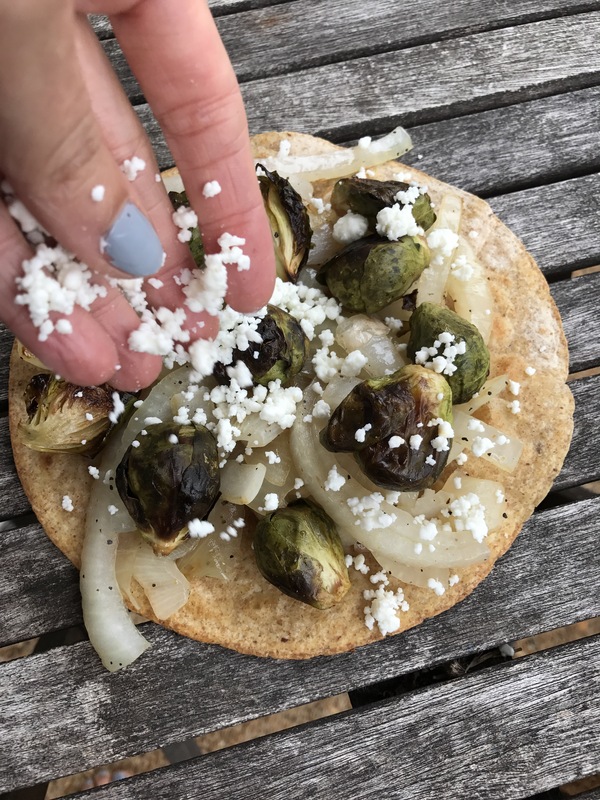 Sprinkle with goat cheese.